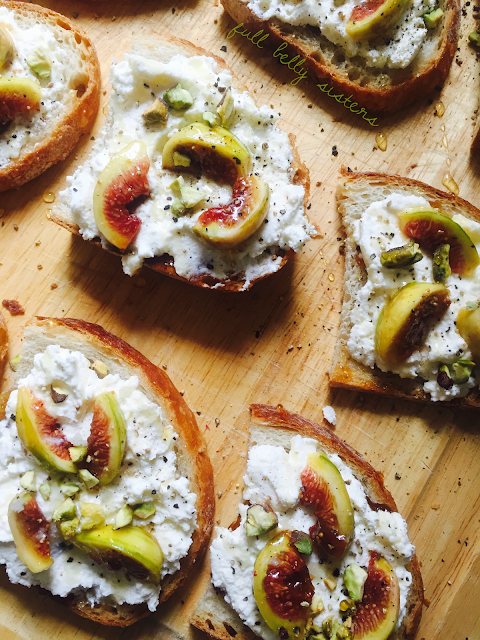 Roasted figs, creamy ricotta, crunchy pistachios, and a dreamy drizzle of honey—all on crispy toast. This is one of those rare, stunning dishes that is actually really simple. Perfect for entertaining! A good friend of mine is a wonderful yoga teacher. She and I have partnered a few times to host "yoga brunches" to raise funds for various local charities. Basically, we go to someone's home and my friend leads a private yoga class for a handful of people. When the class is over, everyone gets to sit down to a cozy, healthy brunch of seasonal foods—made by me! 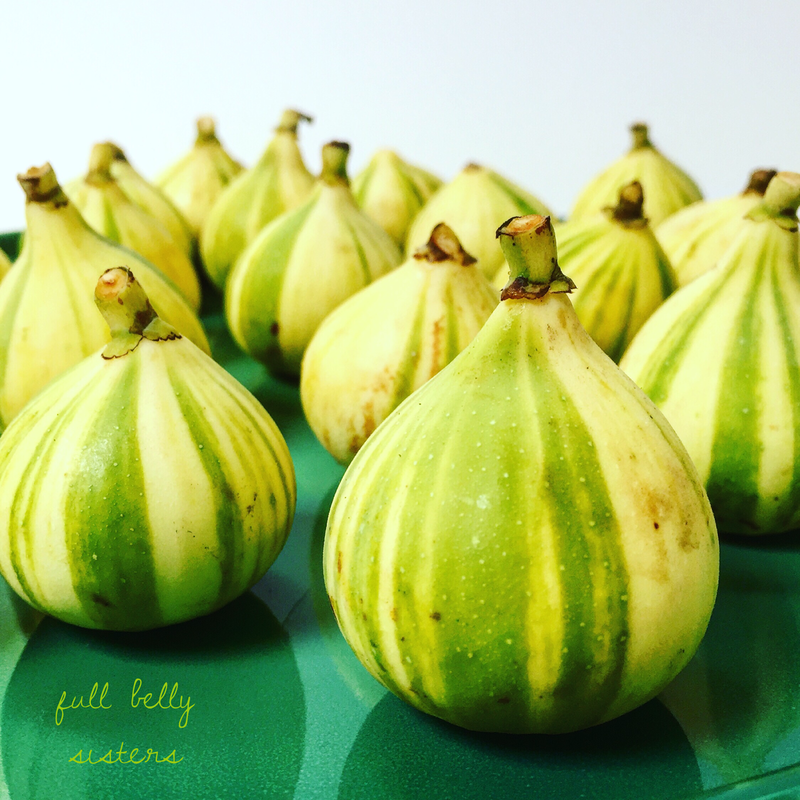 Check out these gorgeous Tiger figs I used! Preheat the oven to 400 degrees. 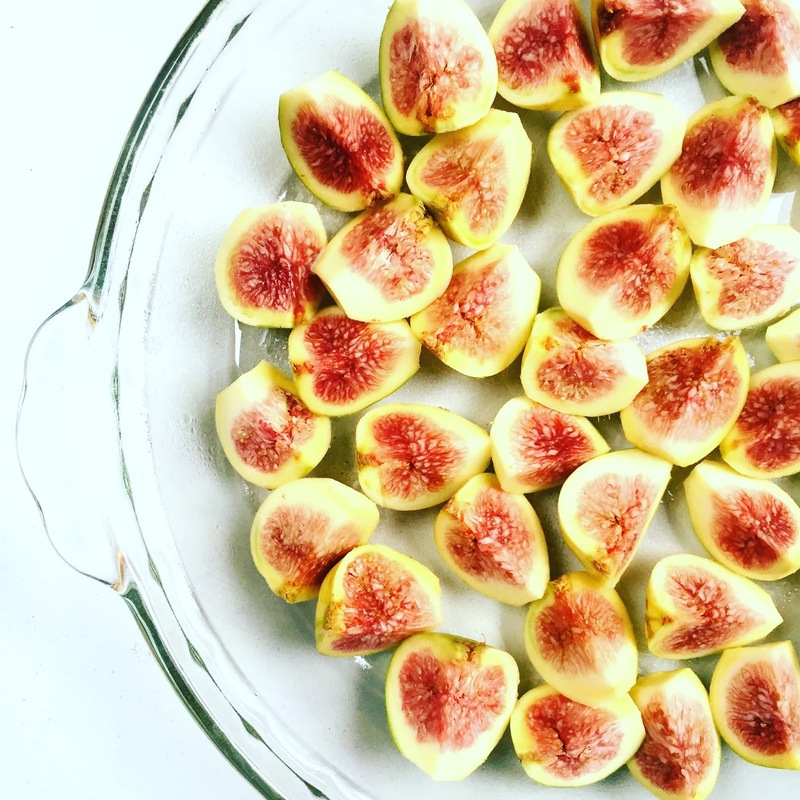 Place the figs, cut side up, in a baking dish. Drizzle with olive oil, 1 tablespoon of honey, sprinkle with salt, and toss lightly. Roast in the oven until tender, about 10 minutes. 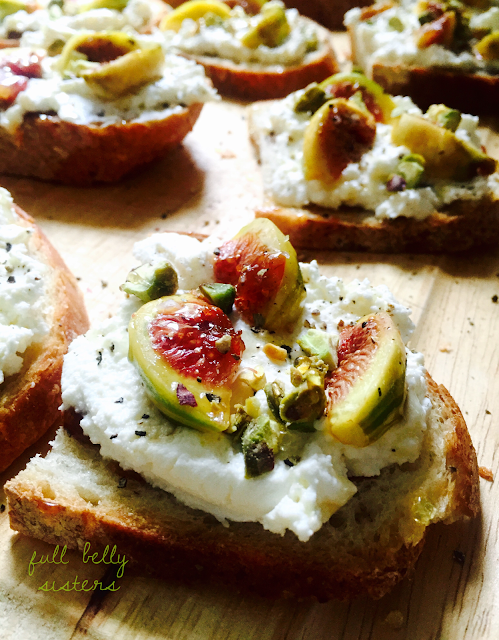 To assemble crostini, spread a thin layer of fig jam (maybe 1/2 to one teaspoon) on each slice of toast, spread with one to two teaspoons of ricotta, and spoon some roasted figs on top. I used my homemade ricotta. Ooh, so good. Drizzle the toasts with honey and grind a generous amount of black pepper over all the crostini. 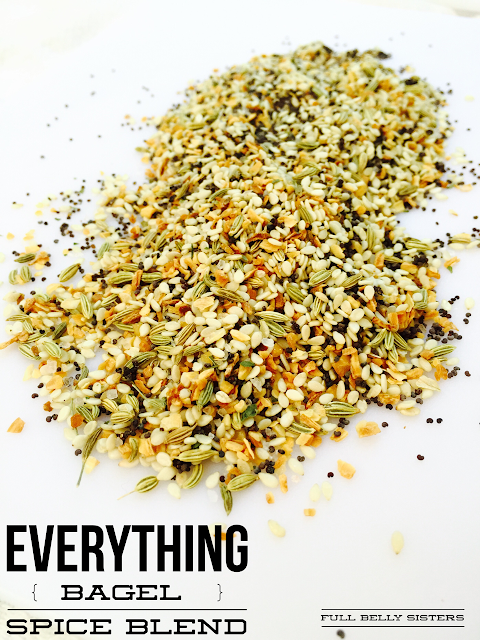 Sprinkle the chopped pistachios over all. Wonderful, fresh, sweet, and savory. And so easy! Whether you're making the crostini as part of a rustic brunch for friends or as an elegant appetizer at a holiday party, these are sure to be a hit. Can't find fresh figs? Use chopped, dried figs on these crostini instead of the roasted figs; since they're sweeter, just cut down a bit on the amount of honey you use. Raise your hand if you want to come to one of our yoga brunches! Looks so good! Love the addition of figs! What an awesome looking appetizer! These sound delicious! Saw it posted over at Try A Bite Link Party. This looks like an interesting and delicious recipe. What a perfect combo!! Your pictures are beautiful! I so love this delicious recipe - fresh delicious flavors! Thanks for sharing with us at #TryaBiteTuesday - you're a feature this week! Please come back and share again! We have 35 fig trees all different varieties. 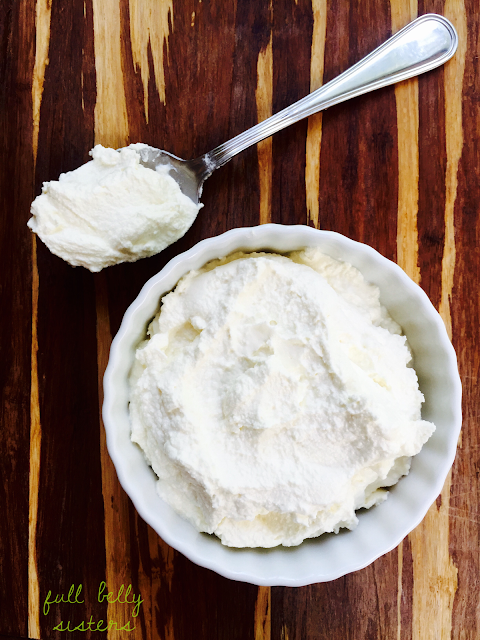 I think Ricotta is a snap to make. I hope we can plant some pistachios. You need a male and female, so that might be tough, but they all grow here. Bees/honey no problem.